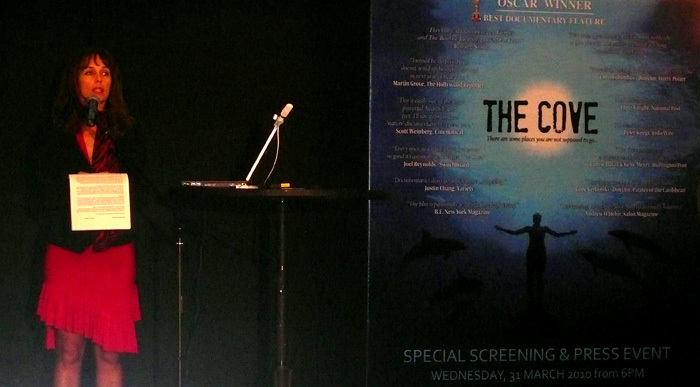 Last night I was a guest speakers at the premier screening of the Oscar winning documentary, The Cove. It was a privilege to support David Oosthuizen’s efforts, a man who had the foresight to secure the film for South Africa way before it was even nominated for the Oscar. The premier screening was held at Cavendish Square, attended by a full-house. My talk, which focused on my recent trip to CITES with the Shark Research Institute, was well received and many commended me on the powerful message it delivered. Apart from those who invited me to deliver the talk at their functions, a compliment I will take to heart was from a Sea Shepherd volunteer who said: “Thank you for your great talk, it inspired me – the only other person who has inspired me like that is Paul Watson.” I am pleased I was able to add value to the evening, which was a great success, thanks to David. The only thing that is going to save our planet are those who are prepared, like those filmmakers, to take ACTION! 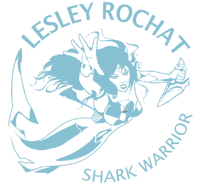 As for the rest, polite conservation, which means not rocking any boats, and media-hungry pseudo conservationists, is futile in the battle to save our oceans’ resources. You simple cannot call yourself a conservationist when you care more about what’s in it for you, or sit on the fence and rub shoulders with politicians – to do so is hypocritical. Everyone who cares about our marine environment/our planet should watch THE COVE – it is a powerful example of the much greater problem facing Earth and humanity i.e. human ignorance, destruction and greed and the impact this is going to/is having on all of us. But we can all make a difference, and if you feel compelled to, then check this link out which explains how you can help to stop the senseless and barbaric slaughter of our beautiful dolphins. I am very impressed by your dedication.Your work is inspiring. I have been a supporter of your work for years. I think you should push hard to give more speeches, you move people to action with your passion and enthusiasm. am a big fan of all your work. keep it up. Wow, you are truly amazing!! Perhaps the best ocean warrior ever!!! I wish I could be as great as you. I don’t want to see the Cove, I just want to listen to one of your talks!!! Please tell us when you are talking again so that I can make sure I get a place before it is sold out!! Wow, sounds like Charlie has a chip on his shoulder! get over it Charlie Chaplin, the facts are that Lesley is doing fantastic work. go warrior, right behind you!